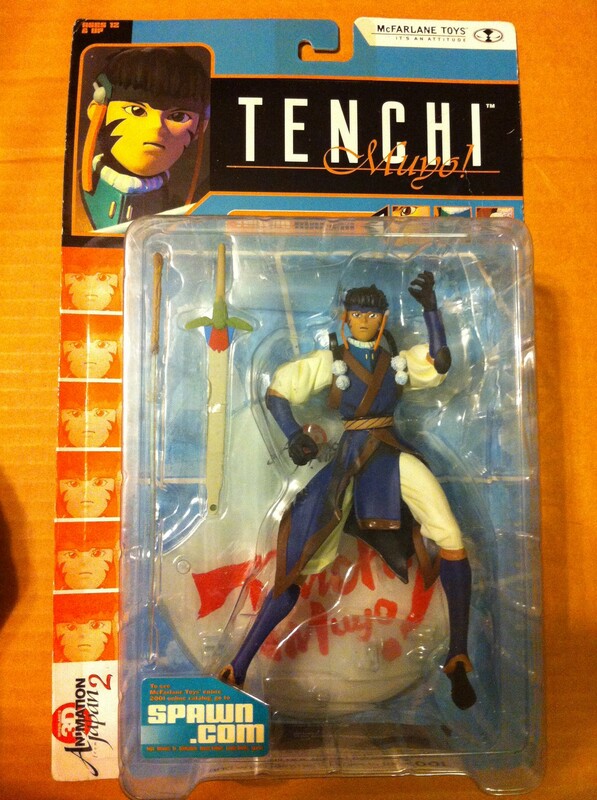 Tenchi Masaki from Tenchi Muyo! is 6 3/8 inches tall and features joints at the neck, shoulders, wrists, waist, hips (ball joints), shins and ankles. His headpiece, shoulder straps and the skirting of his costume are all molded in soft PVC. He includes a base, two swords and a removable shield that attaches to the base.